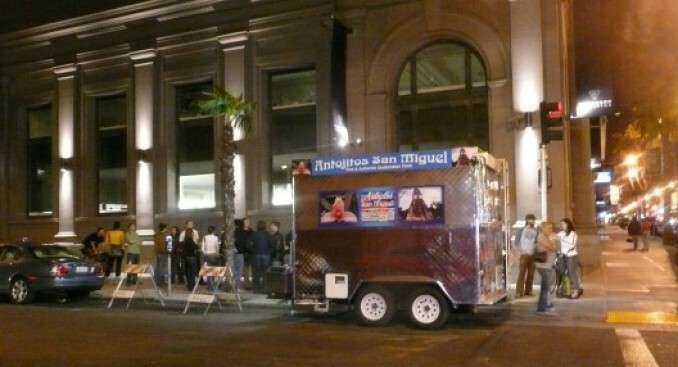 1)Mission Street Food truck debuts to great street acclaim. Eater SF has a belly full of pork belly. 2) Top Chef names Season Five contestants— this year only one Bay Area chef, one Jamie Lauren of Absinthe, who believes in "cooking from within." Break a leg, Jamie. 3)Financing bank says "WTF?" when Napa's previously insolvent food/wine supercenter Copia falls off rocker, announcing expansion into SF. Bailouts for all! 4)USA chooses French Laundry sous chef Timothy Hollingsworth as its golden boy for France's Bocuse d'Or, the Olympics of the culinary universe.